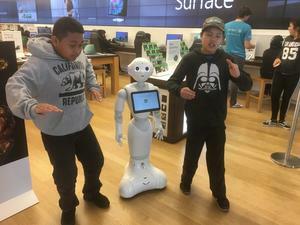 Dancing robots, virtual reality, programming video games, and collaborating with new technology- does this sound like fun to you. These are all activities available at Bridges Academy. Thanks to our generous support from Microsoft, Bridges students get access to all this and more. 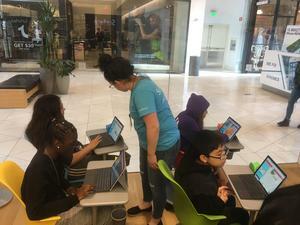 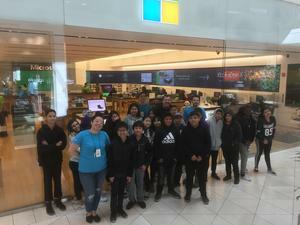 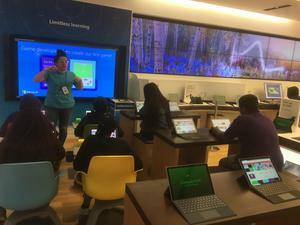 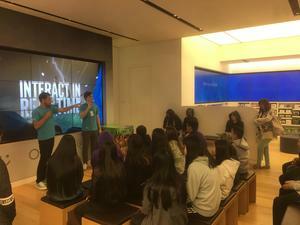 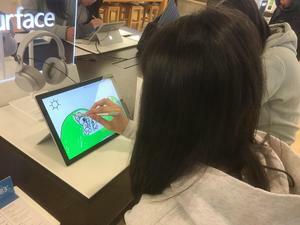 Bridges Academy science students attended a series of field trips to the Microsoft store at the Valley Fair Mall. 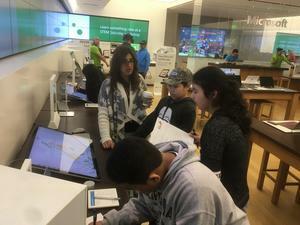 There, the students were introduced to a wide variety of technology. 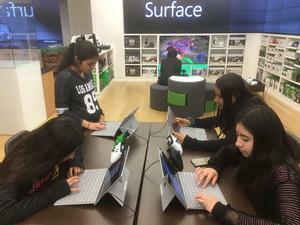 Students engaged in programming computers and video games. Some students created a game called, "Get the Doughnut" where they created a character, called a "Sprite" who finds a doughnut. 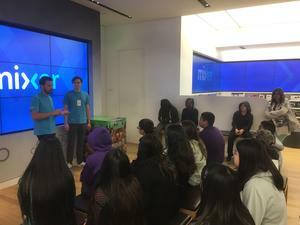 The game was a big hit with students and others in the store. 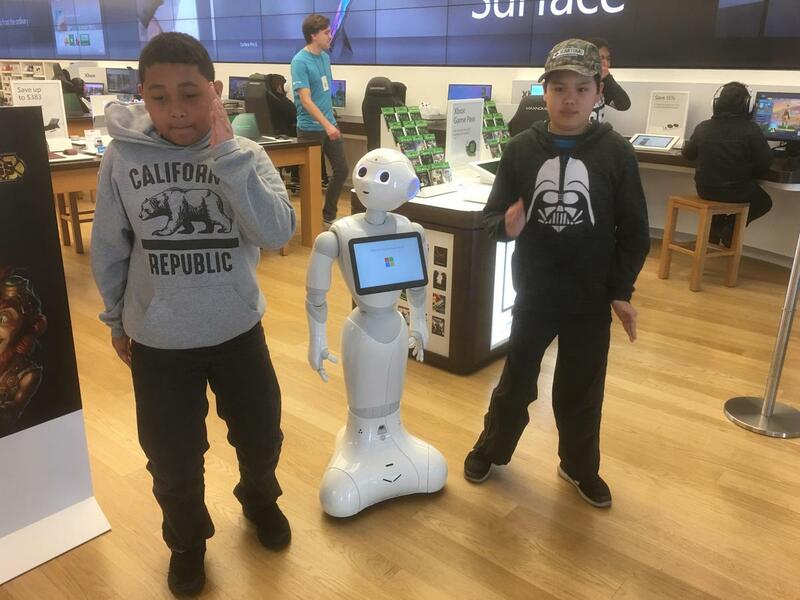 Students learned to interact with a service robot and obtain information from it- as well as dance with it. 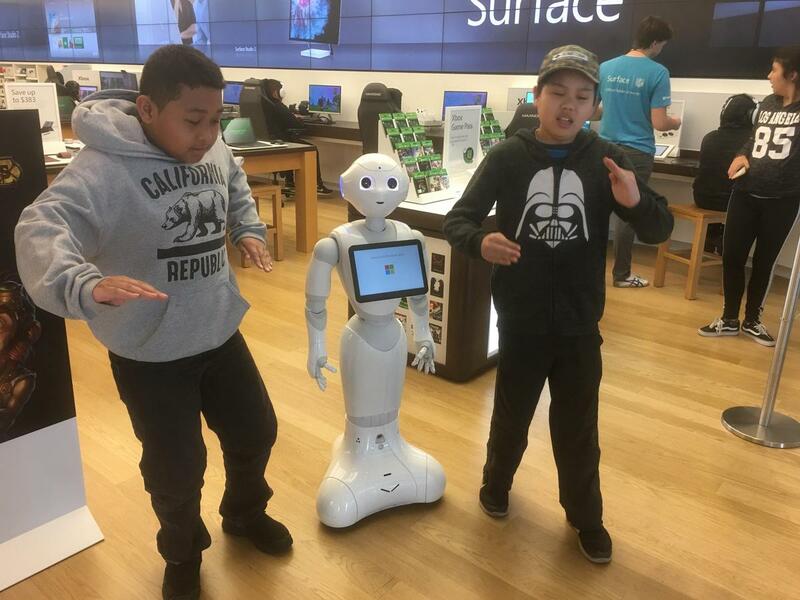 Some students even programmed in their own dance moves! Several students engaged in a scavenger hunt activity. They were able to discover new cutting edge technology and how to find answers to technical information and support with that technology. 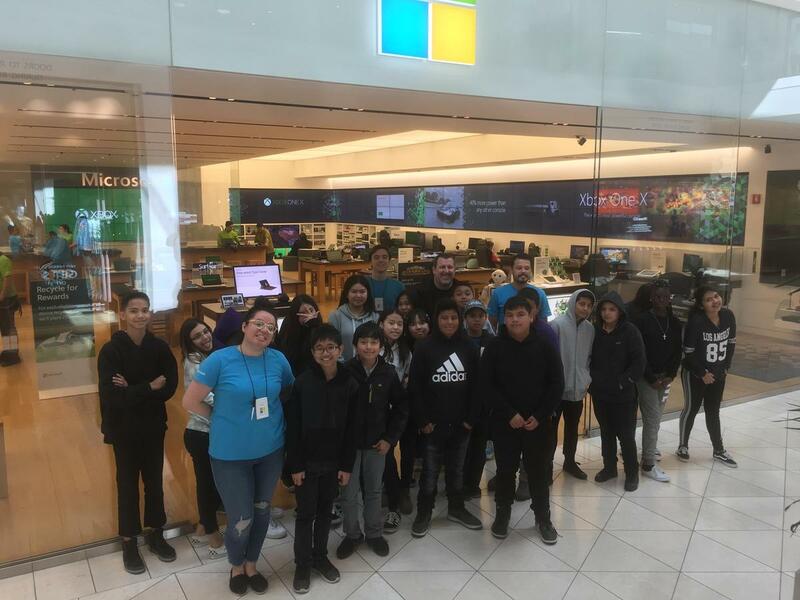 The Microsoft team connected with Bridges staff to help us bring the technology we learned about at the store right back to our school. Come join Bridges Academy to engage with this cutting edge technology and use it to learn and utilize 21st century technology along with our Microsoft partners!